I am here but not for long. I am still struggling with my thesis and it is not a good struggle. Its an acetate card and just note that making this card gave me so much happiness and solace. 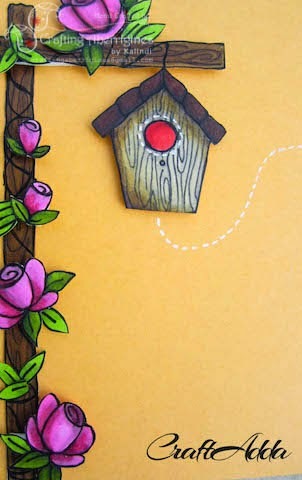 I drew, cut and coloured each one of these roses and leaves and the birdhouse was also made from scratch. The card stock is a beautiful marigold yellow. Every hand drawn piece is given dimension with a double sided foam tape. The complete card with acetate. 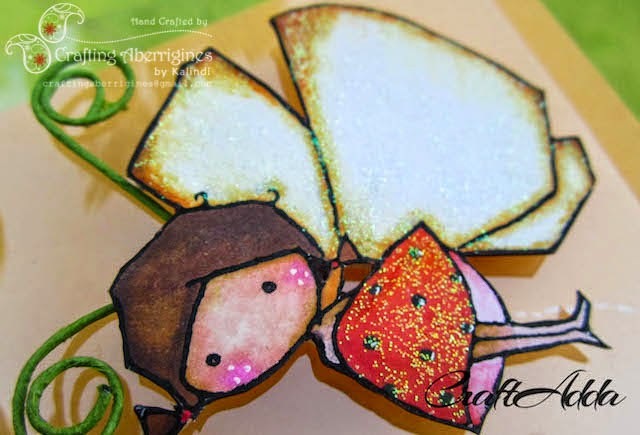 The lady bug is on the acetate and the rest is on the card stock in a manner that if you lift the acetate the white dotted lines continue to form words behind the ladybug 'take flight'. 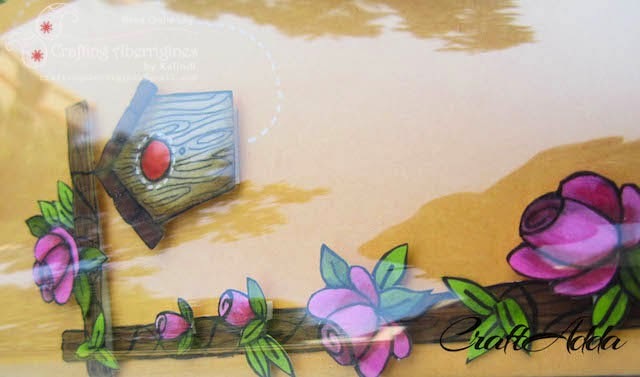 I also made a coordinating envelope with the same card stock because I wanted the envelope to be stiff and thick to provide the much needed protection to this dainty card. A bit of embellishments here and there ..and voila !